As a beginner, you want to choose the tropical fish that give you the best chance of success with your home aquarium. There is a lot to learn for the fish keeper who is just starting out, and picking fish that are fun and easy to care for is important. You’re going to be worried about a whole array of new concerns like maintaining the right water parameters, choosing the best fish food, deciding which decorations are appropriate and whether or not live plants are a good idea. Adding in fish that involve complicated care and stocking requirements just makes things that much tougher. In this article you’ll read about ten of the best topical fish for beginners. They’re great options when just starting out, but many advanced fish keepers enjoy them as well. If you are new to aquarium care are going to want to read up on how to care for a fish tank before you get started. Learning the basics is important from the beginning, and it will make you new hobby much more enjoyable. 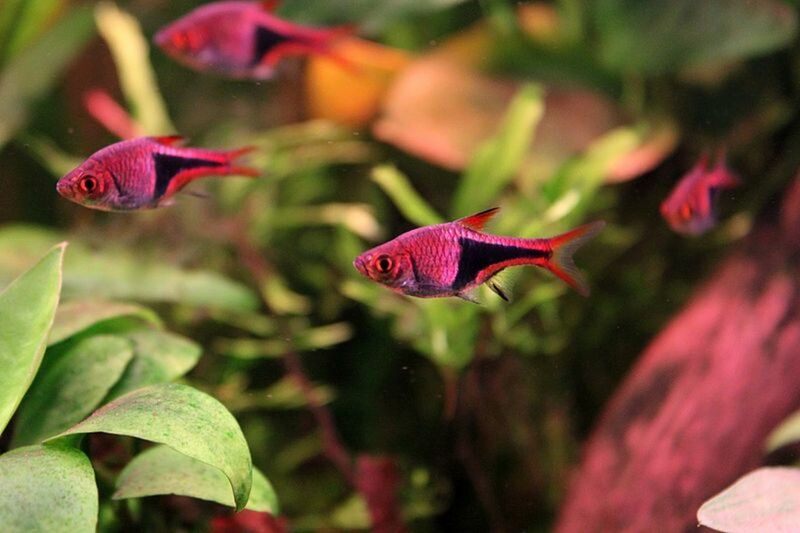 Neons are among the most popular of freshwater tropical fish due to their tiny size and vibrant colors. They only grow about an inch or so long, so any aquarium 10 gallons or bigger makes for a suitable home. These little guys are schooling fish, which means you want to have at least six of them, preferably more. When their school is too small, or when the water is poor, they can get nippy at each other. Otherwise, they are an extremely docile and easy-to-care-for fish species, well suited to beginning and advanced fish keepers alike. Beware not to stock them with larger fish, because they make a tempting snack. One rule to remember when choosing fish: Big fish eat little fish! Swords are another pretty species that will grow to about two inches in length. They’re very peaceful, though fairly active. You can tell the males apart from the females by the elongated “swords” on their tails, hence their name. While these guys aren’t aggressive, you may notice the male relentlessly harassing the female. It’s just his way of showing swordtail love, but it can be fairly stressful for her. One solution is to have at least two female swordtails for every male. The male will still be pesky and bothersome, but at least the same female won’t be getting the brunt of his attention all the time. Guppies have tiny little bodies, and long, flowing fins. They come in many different vibrant colors, and a tank with several types of guppies in it really pops. They’re super active though, so if a calm, tranquil tank is what you’re going for these fish may not be for you. But if you like a lot of action and pretty colors in your aquarium you might even consider stocking it only with guppies. Be aware that they’re very small and, like neons, not a good choice if you have larger fish in your tank. They’re also livebearers, so if you do have a bunch of them be on the lookout for baby guppies in your tank one day! 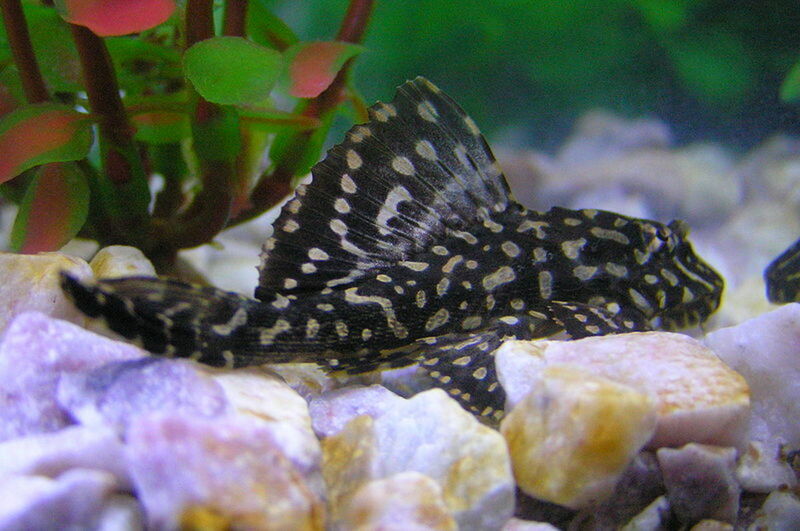 Cories, or cory catfish, are small, ancient-looking armored catfish. There are a few different popular species, such as pepper cories and albino cories. The emerald catfish is a closely related species often labeled as a cory, though it's not technically in the same sub-family. They all do the same job, which is to scavenge the bottom of the tank for leftover food, plant matter and other debris. 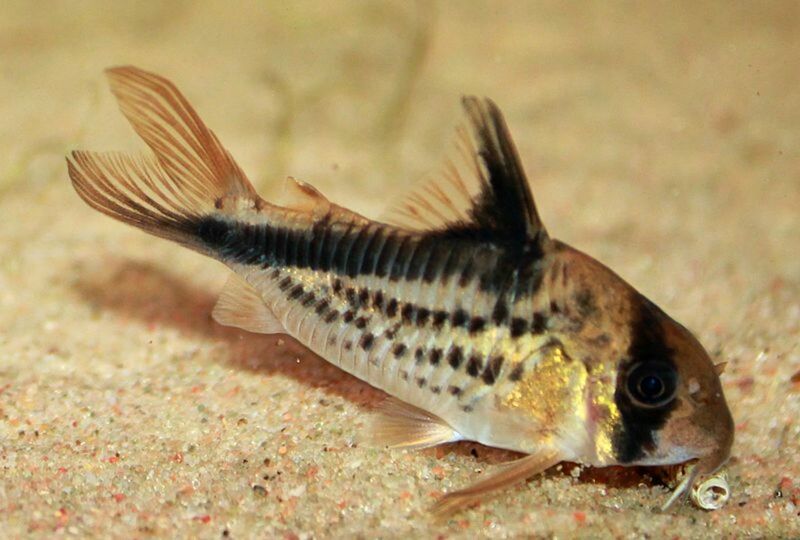 Many fish keepers choose to feed sinking pellets to make sure their cories get enough to eat. Most cories grow to only two or three inches in length, but with age some can get a bit larger, particularly the emerald cory. They are schooling fish and need at least six in their shoal, though like all schooling fish more is generally better. These little round fish need to be in schools of at least six, and due to their slightly larger size you’ll probably want to have them in a tank greater than 10 gallons. But they’re very pretty fish, with their silver and black striped bodies and black flowing fins, especially when they swim together in a group. They’re super-easy to care for and do fine with regular flake food and maybe a few treats here and there. They’re docile fish that grow to about three inches across, and need plenty of room for swimming in the top two-thirds of the water column. 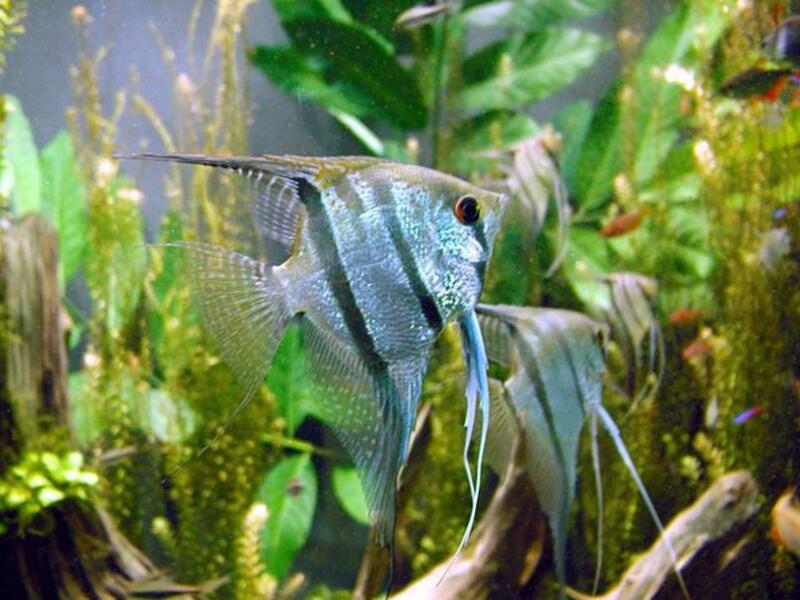 These are also a good option for tanks with larger fish such as Angelfish and Gouramis, as they grow too large for all but the biggest of the typical home aquarium inhabitants. The zebra danio is a great tropical fish for beginners, and very popular. They’re hardy, active and cute, and you’ll probably want a small group of them in your tank. 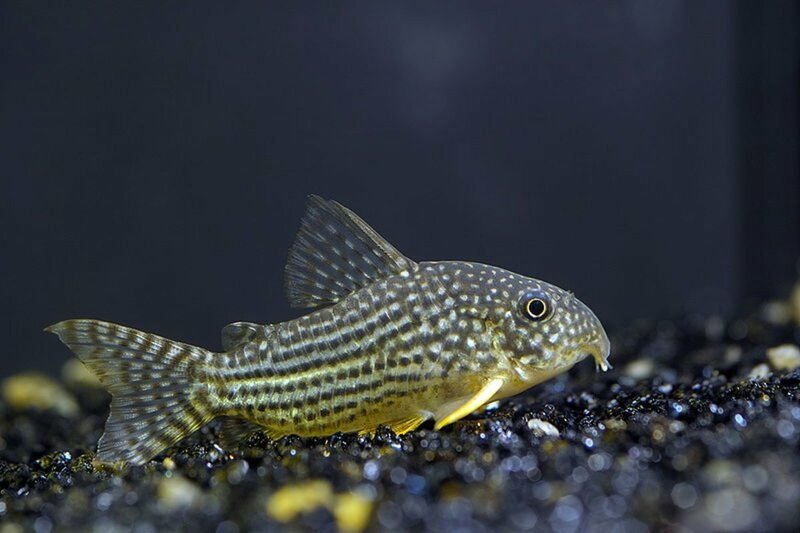 These little guys have black and white stripes down the length of their bodies, which is how they got their name, but other danio strains may have spots. The standard zebra is short-finned, and only a couple of inches long, but there are also long-finned and lyre–tail varieties. You should be able to choose from a bunch of different kinds at most live-fish stores. Note also that the popular (but expensive) GloFish is actually a specialized zebra danio, bred to bring out bright red, yellow and green pigments. Do you have any ethical issues with GloFish? Yes! This is just another way we exploit nature for profit! No. They are just fish like any other fish, except cooler! Maybe . . . I have to think on this one for a while. Cherry barbs may be labeled as semi-aggressive in some pet stores, but rest assured they will not terrorize your tank. However, they may harass slow-moving fish with long fins, so if you have such critters in your tank you may want to skip these guys. If you have active species like those listed above you should be okay. These are schooling fish, so stick with the “six or more” rule, but you’ll notice they don’t school as tightly as some other shoaling fish. But when perceived danger comes around, such as a water change or bigger fish, they’ll group together. The males are brighter red, and the females have duller coloration. These little guys are among my favorites, especially in large, planted tanks with some natural driftwood and stone. The reds of the males really make them pop. These pretty fish make great tankmates for any of those listed above. They are small, up to about two inches, and very docile. 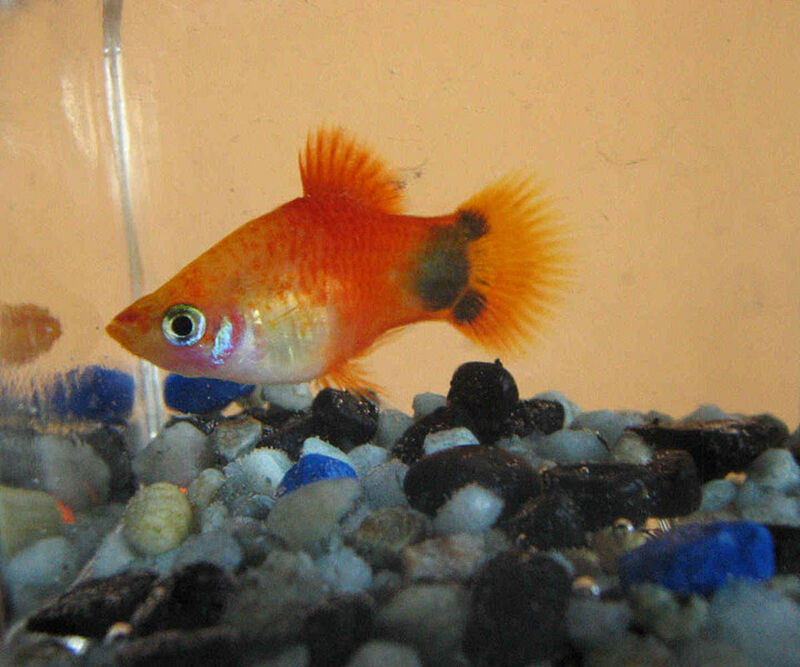 Their attractive black and metallic orange coloring gives them a unique appearance. They need to be in a school, and they need plenty of room for swimming at the top of the water column. They’re hardy little fish who will get by well on flake food, and they’re docile enough that they get along with pretty much anything that doesn’t try to eat them! Some aquarium owners want a fish that will eat algae, and so they go out and get a plecostomus. The problem is most plecos grow up to two feet in length, and are not a good choice for the home aquarium. But the Otto catfish will happily much on the algae on tank glass and decorations, and they only grow to about two inches long. They like to school so have six or more, and make sure to supplement their diet with algae wafers. Unlike with a pleco, you don’t have to worry so much about your live plants with these little fish either. And they tend to blend into the background. Moving a piece of wood or a plant can dislodge half a dozen Ottos you didn't even know were there! Platies are active, curious fish and something like the puppy dogs of the community fish tank. They come in a variety of colors and markings, including the cool “Mickey Mouse” platy, which actually has markings on its tail that resemble Mickey Mouse. They are very peaceful fish, but their active and inquisitive nature may get them in trouble with any large, semi-aggressive tankmates. For this reason they’d be best in a tank with other highly active fish they can’t annoy. Like swordtails and guppies they are live bearers, so if you have a bunch of them be on the lookout for baby platies! Ghost shrimp don’t make the 10-best tropical fish for beginners list, but they do get an honorable mention for being an interesting addition to any aquarium. Sometimes called glass shrimp, these little scavengers are super-easy to care for, and you can basically drop them in your tank and forget about them. They may even reproduce if conditions are right! Be aware that many large and even medium-sized fish will see them as prey, but as long as you have small fish in your tank they should get along just fine. Betta fish are very easy to care for, but unfortunately they are also just about the most misunderstood tropical fish out there. A betta can live in a community tank, but the conditions required might be a little confusing for the beginning fish keeper. Until you know what you are doing, it’s better to avoid that situation altogether. Keeping a betta as a solitary fish is a great idea for a beginner, but make sure his tank is at least five gallons (not a small vase or bowl) and that his water is kept clear and warm. 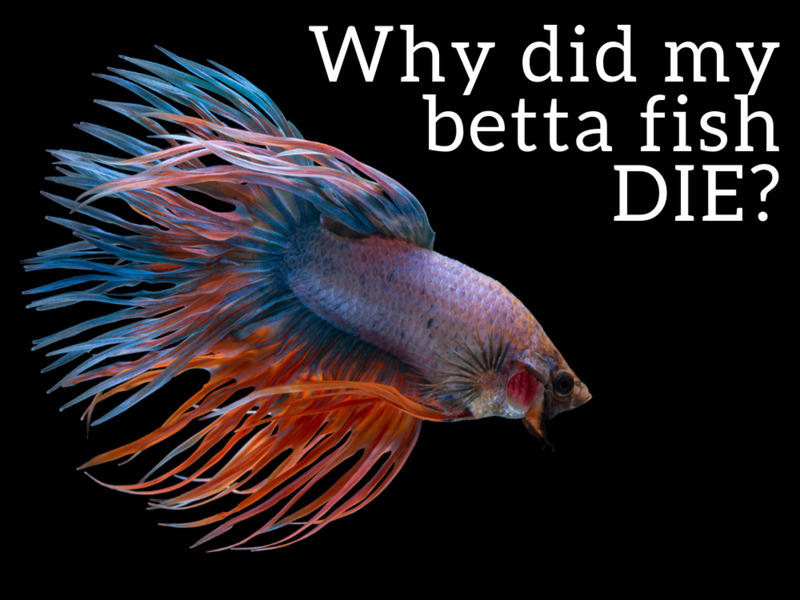 Bettas are not disposable pets. If you are going to own one, do it correctly. 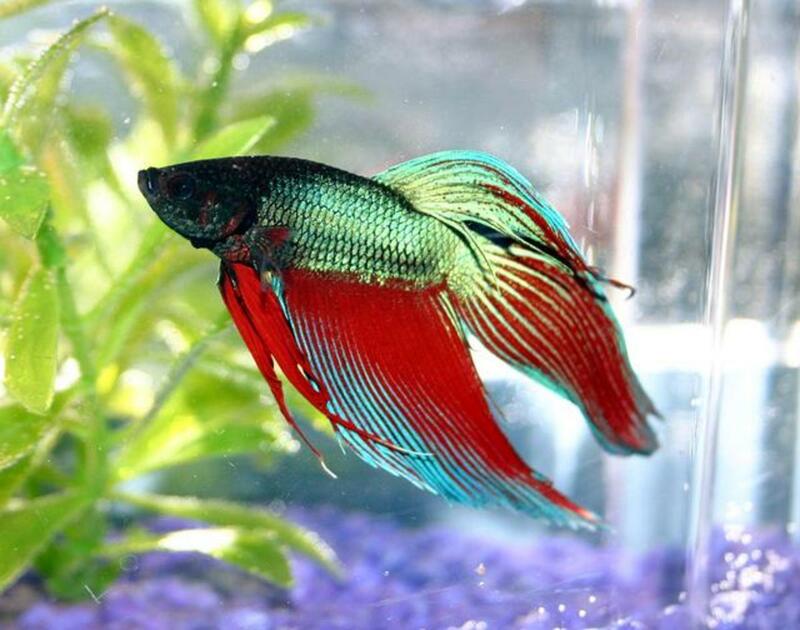 Consider reading up on more advice about keeping Betta fish. Maintaining a home aquarium can be an enjoyable hobby that lasts for the rest of your life. Getting started on the right foot is very important, and choosing the best fish is smart. As you progress as a fish owner you may wish to venture out into different types of tanks and setups. There are many semi-aggressive species out there that require more thought and planning, and there are aggressive fish like cichlids and are in a whole different world by themselves. Good luck with your new aquarium! Hopefully this is just the start of a great new hobby! I was told that the light in the fish tank should only be on 12 hours a day. Is this correct? Keeping the tank light on for about 12 hours each day is the general rule I've always gone by, and the main reason is to reduce the chances of excess algae growth. Algae benefit from light just like plants, so longer periods of light mean the potential for more growth. However, if you have live plants in your tank, you'll want to keep the light on for at least 12 hours per day. Obviously, this is because plants need light to grow and be healthy. They also out-compete algae for food sources, and well-maintained planted tanks tend to have less algae. Finally, both plants and fish benefit from a day/night cycle, such as twelve hours lights on / twelve lights out. Just be sure to keep a regular schedule. Are fish bothered if a family cat stares at them? If the cat is a few feet away from the tank, it is unlikely the fish will even know it is there. If it is coming right up to the glass, pawing the glass or jumping on top of the tank, it could certainly disturb the fish. You want to be vigilant when you have a cat and a fish tank in the same house. Most house cats are quite capable of reaching into a tank with their front paws and striking your fish. If you have a cat who tries to hunt your fish, you want to take measures to stop it. Make sure your tank is completely covered, so there is no way for the cat to access the water, and try to prevent the cat from having an easy path to the top of the tank. I’ve had a cat in our house with several fish tanks running. He couldn’t have cared less about the fish and never bothered any of the tanks, so this isn’t always an issue. Just remember that cats are predators, and if it seems to think of your fish as prey, you may need to take action. @Matthia - Guppies are best kept in trios, with one male and two females. 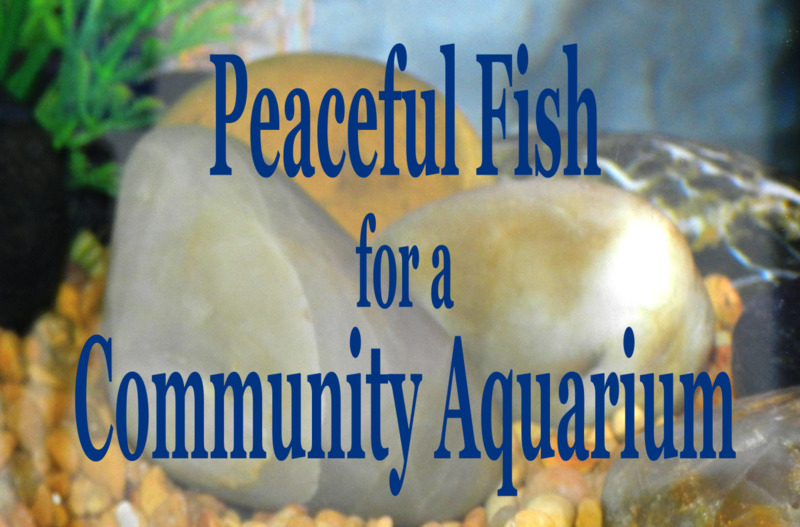 They are active but docile fish and can be kept with other community fish. They are small, so of course you don't want to keep them with any fish big enough to eat them. Do guppie fish need friends or can it be alone? If so. How many friends? @Harmonie - There is no way for me to guess. Can you provide more information on your tank setup and water parameters? My neon tetra aren't swimming properly and two are only just about breathing. What did I do wrong, and what can I do? @M F -I'm afraid I can't give you a good answer on that. I've never kept them before, and a little quick research tells me they require some special considerations. My advice is to read up on them as much as you can before making a purchase. Just from what I've read I think I'd probably keep them in a single-species tank. Good luck! 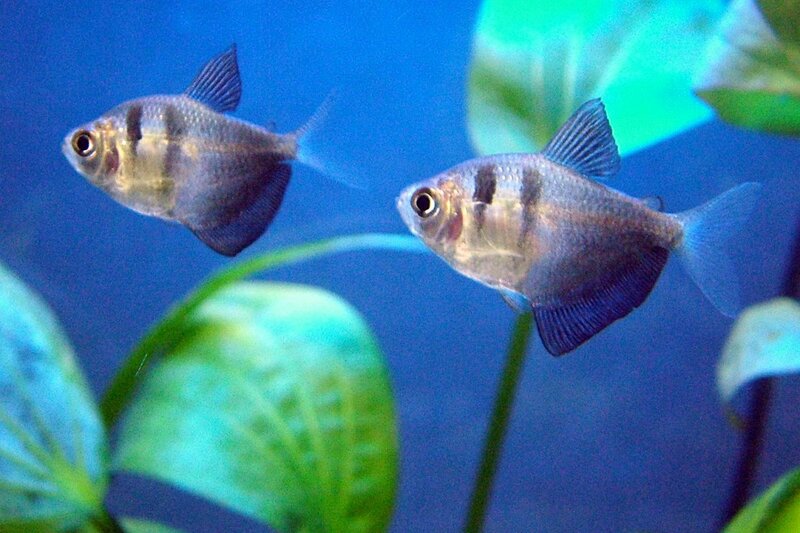 Are archer fish able to live in a tropical tank? @Kevin - Have you tested your water parameters? It's the best way to know what might be going on in your tank. Did you add anything else besides the dechlorinator, such as plant food or a biological booster? Trying to figure why my water isn't real clear after 3 days with water filter on, good substrate down, live plants, have dechlorinated the water and have yet to add fish.....thoughts anyone? Is it time to add a couple fish to get started? I am glad I came across your webpage. I have, in the past, kept tropical fish .. but not for a good few years now. I have had cold water fish for a few years now but I am buying a bigger tank so can now set up the new tank with tropical fish .. so excited! So I shall be asking for some help/advice on here. @Charles - I'd rather not see any fish in a 2-gallon tank. I'm sorry my message was kind of confusing before. I know that turtles can't be kept with fish. @Hally - I don't know much about turtle ramps, but I do know if you try to keep turtles and fish together you'll have problems. Turtles eat fish. Not sure if that's what you're intending to do but if so I'd advise against it, unless you are buying feeder fish for that purpose. Hi I didn't know where to ask this question so I picked here. Do you know if ramps for water turtles are safe to put in an aquarium? Thanks in advance! Hi ##### (hope I spelled that correctly!) I can't really offer any advice without knowing what you have going on there to begin with. What size tank? Which kinds of fish and how many? What are they doing that makes you think they don't get along? @Anne: Glass surfing usually means stress. Schooling fish like tetras should be kept in groups of six or more. This may be the cause of their stress. Yes, there is a good chance the parents or other fish in the tank will eat the fry when they are born. To avoid this you can use a special breeder tank, or try to be on the spot and get them out of there soon after they are born. Otherwise, they are on their own. Good to hear, Sparky, and I hope you find a home for the guppies. Best of luck going forward! Hi Tracey! You'll need a fairly large tank to house the fish you are describing. 55 gallons would be the bare minimum, but 75 or larger ideally. If you do have a very big tank those fish should get a long okay, but you never know until they are together. Good luck! Sparky: If you go with a bubbler do so because you like the effect. Your filter should aerate your water more than enough. I don't know why the shrimp would need a bubbler. Plants and rock are a good idea. In my experience the shrimp do not "burrow" so much as they hide under things and in crevices. Rocks, driftwood and plants are good for (almost) any tank. Thank you for yet again being so helpful! I'm cycling the tank right now. I'll tell you how the tank turns out in the end. Can't wait to put the guppies and shrimp in! I may go with fewer guppies, perhaps five. I know they aren't really schooling fish so it shouldn't be to much of a problem. (Please correct me if I'm wrong) And I may go ahead and get a bubbler too. I've heard on wiki how that the shrimp need one. And even if they didn't, it'd be better to have more oxygen in the tank anyways. I'll probably end up putting in some fake plants and stone pebbles on the floor of the tank too. And if I can I may put a few more rock caves in as well. I hear the shrimp like to burrow so I'm hoping the rock caves would be an OK substitute. And for future reference I'll try and keep the questions to a minimum. Thanks again for all your help. Hi Sparky: For the guppies you'd want to go all female rather than all male if you are concerned about breeding. 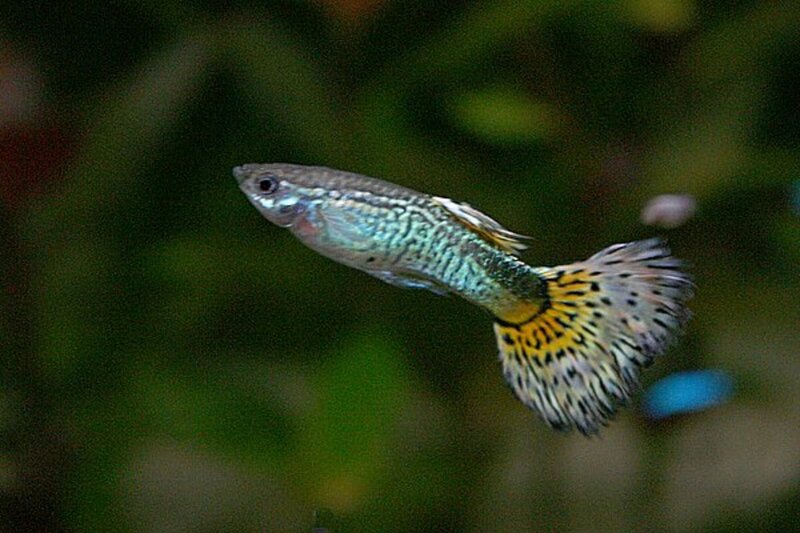 Guppies are not typically aggressive but a bunch of males in a tank may get nippy with each other. I think ghost shrimp plus guppies are fine but maybe stick to six of each. Oxygen isn't really the concern. It's waste. Too many fish in too small of a body of water create too much pollution for the tank to handle. You can try a Betta with the ghost shrimp but the Betta may try to eat them, or he may leave them alone. Do not mix a Betta with guppies. Thank you so much for answering my questions! I have read quite a few of your articles and they are certainly very helpful! Keep up the good work! I think I'll go with a school of fancy Guppies. Perhaps 7 at most. I don't want them to breed however. That being the case, is it safe to have an all male tank? Or is an all female tank the only option if I don't want them to breed? Also, I didn't realize that ghost shrimp were bottom feeders! 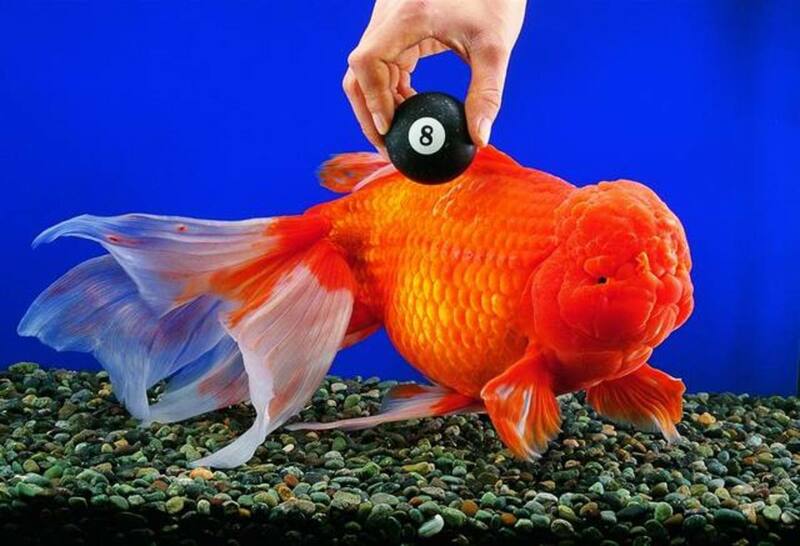 Does the six or more rule apply to them or is it a bit different because they aren't really fish? I assume that the Guppies won't eat them but can I have 14 animals (7 Guppies and possibly 7 ghost shrimp) in a tank safely? I now understand (thanks to one of your articles) that the one inch of fish per gallon of tank rule is nonsense, but with that many animals, would there be enough oxygen in the water for all of them? Would a bubbler be of any help with this issue? I read your article on tank mates for bettas and it mentions that you could have 5 or so ghost shrimp with a single betta in a 10 gallon tank. Is this because more shrimp would take up too much oxygen or because more shrimp would aggravate the beta? I'm sorry I'm hurling a thousand more questions at you but you seem to really care about fish and it's a bit difficult finding trustworthy sites for this kind of stuff. There seem to be so many misconceptions about fish it's a wonder they last as long as they do in home aquariums! In fact the reason my Rainbow Shark died is because of shock. I was foolish enough to believe a website that said I only needed to acclimate him for 30 minutes and not longer. In other words I'm trying to not make the same mistakes again. You seem to know what you are doing and you are kind enough to take the time to write articles to help others. Please help. Hi Sparky. You have a lot of questions! I really suggest doing a lot of your own research so you become better educated on fish care. One of the reasons I don't suggest specific fish or combinations of fish is because I want people to go and learn about the fish instead of depending on someone else to give them all the answers. Learn about how big they grow, how much space they need, what there temperaments are and what they eat. There are so many variables to keeping fish correctly there really is no substitute for personal knowledge. You don't need a bottom feeder if you don't want one. If the only reason you want one is because you think it will clean the tank for you, that's not realistic. They aren't going to save you much time when it comes to cleaning. But they do help mop up some uneaten food, so in that way they reduce waste a bit (but of course they create some too). If space is a concern consider a small school of ghost shrimp. I have a separate article suggesting fish for a 10-gallon tank which you can find on this website. Live plants are helpful but not necessary. Without live plants you can keep the lights on as you please. Normal waking hours are fine, but you may reduce it if you see a lot of algae growth. In a planted tank aim for about 12 hours of light. Perform a partial water change of 20-30% a least every other week and a deeper tank cleaning monthly. Learn about the nitrogen cycle and how to manage the microbes that live in your tank. They help to keep it healthy. You only need to dose your tank with conditioner when you do a water change. Follow the directions on the bottle. Do not add any fish unless your tank is fully cycled. Again, you have to do some research to understand the nitrogen cycle and how it impacts your fish. A good water testing kit measures ammonia nitrates and nitrites, and pH. I'm not sure what Walmart has, but a basic kit is pretty inexpensive. I agree about the cherry barbs and guppies. In a 10-gallon, I'd go with guppies. 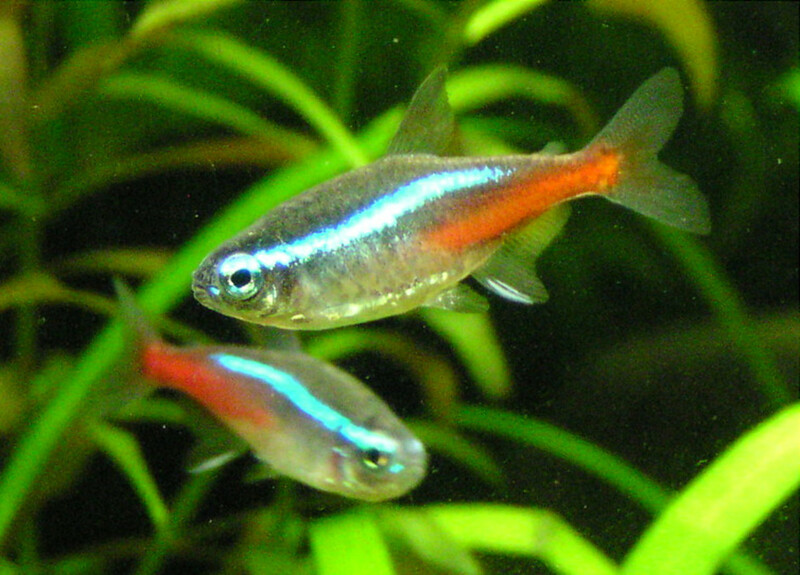 They are small and colorful, as are neons and other similar tetras. You can make a very pretty tank with 8-10 small, colorful fish. Nobody wants fish to die (I hope) and its a bummer when it happens. The fact that you care so much about this is a good thing. When you lose a fish you learn from it, and try to do better next time. It's all you can do. I'm happy to answer any other questions, but once again I suggest taking some time to research the fish you are interested in as well as some of the other aspects of aquarium care. Articles like this are meant to address a very specific point, and not solve every problem. There really is no substitute for personal knowledge, and the more you know the better you get at this. Hello. My Rainbow Shark just died. I'm looking to fill up my 10 gallon tank with some vibrant and active fish. I'd prefer to have at least one bottom feeder to help keep the tank clean. What fish would you recommend? I have no live plants or sand/stone pebbles at the bottom (please inform me if either is necessary for new fish. I assumed they were unnecessary and would make it easier to clean without them.) My tank is located in my basement and doesn't receive much sunlight. Please tell me how often I should keep the tank light on as well how often I should clean the tank and how I should clean it because that would be most helpful. I have a water heater in the top left corner of the tank, a nice filter, three rock structures, and a temperature reader in the bottom right corner of the tank. I may as well be new to the fish tank experience because most of your tips came as a bit of a slap to the face. For your website I would recommend being more specific about the length of the fish listed during their adult stages of life. For example an average length of an adult Zebra Danio is not really specified in the above article. I would also recommend adding more fish to your list of fish best for a 10 gallon tank. I like the look of Cherry Barbs and Guppies but feel like my tank couldn't hold a school of one or the other and a bottom feeder without harming them. Speaking of, do I really need a bottom feeder? Would owning one reduce how often I need to clean the tank? I put 10ml of Aquasafe cleaner in my tank once a month. Does this affect how long the tank needs to cycle? Also, what inexpensive water testing kit would you recommend me buying preferably from Walmart? I really don't want more fish to die by anything but old age. I know I'm asking for a lot here, but I really need the help and you seem to know quite a bit about taking care of fish. Please help me. I've always liked Mollies too, but I've always had them in bigger tanks. Sounds like you had a pretty funky tank with those Glo-Fish! I think Mollies are a good beginner fish as well; I have had some success with them in the past. I have owned some Glo-Fish in the past, but I think they took fish breeding a little to far for my taste. I used to have a tank with a black light, blue and black substrate, and neon fake plants to boot. But when I learned more about them, I moved on to colorful guppies and have not purchased anymore Glo-Fish. I have seen recently they are also making Glo-Tetras now as well. Thanks mgeorge1050! I like the guppies too. Thinking about adding a few to my 29 gal right now. Cool article about tropical fish. I am a guppy man myself, I have kept them for years. I also enjoyed the video on the glo fish. Thanks for your answer. I think we'll give the Betta a misss. That sounds like a rough situation for a Betta, Gypsy Willow. The Angels are semi-agressive and may pick on him, and he may or may not have issues with the guppies. You can try it and keep an eye on him, but have a backup plan in case it doesn't work. I love my tank it has Guppies, two Angels, two tiny African frogs, snails and a small Plecostamus. Do you think I could add a Beta? It is 20 gals and heated with gentle filtration. We do a partial change once a week. I am about to upgrade to a bowfronted tank. That tank sounds great, Tony! Those plecos and clown loaches get pretty big though. I agree that that fish tanks can be distracting. I have a 55g in my living room and I end up watching it even when the TV is on. Thanks for commenting! I get a lot of pleasure from my 3' fish tank. It was gathering dust in the garage for the last 30 years until I finally decided it was time to enjoy it again. I bought a 'Nutrafin Test Kit' first to make sure the water was alrightalso a coupls of tubs of useful bacteria to bring the nitrite content down. I stocked with swordfish, mollies, gouramis, clown loach and a plecostamus. I find I'm watching the tank instead of getting on with my writing. Thanks Richard! I appreciate the heads up, and I made some edits and found a new pic that may clarify things a little better. Thanks Hit-the-Road-Jack. The Harlequin Raspboras are great little fish! great article, but there is an issue with one of the pictures. the picture of a "Cory" is of an Emerald Cory. 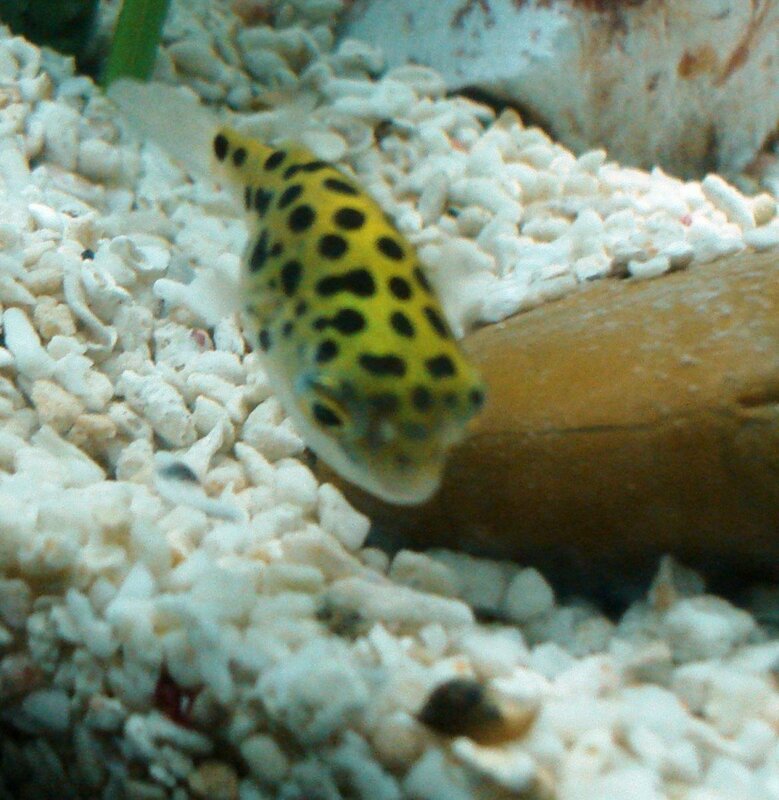 This is not a member of the family Corydora, meaning it's not a Cory. this is easy to tell from the dorsal rays. Emerald Cory's are a closely related but scientifically named Brochis splendens. Brochis splendens is larger than most Corys and has a slightly different tank mate compatibility. A better picture choice would be Corydora panda. Great article just one in inaccuracy. Wow! You really know your stuff. Makes me want to have a tank again and get Harlequin Rasbora. They sound like they'd be soothing fish to keep. Some great fish in this list. I have 30 gallon aquarium at home and we love the neon tetras and fancy guppies because of their beautiful colors. Sadly they are very sensitive and you will probably loose a lot of them for the first few months of your tanks life, until the water is able to create its own mini environment. We found barbs and mollies to be good fish for when the tank is first being set up, because they are so hardy. Pet Smart's and PetCo's fish department was getting to know us too well, thanks to their two week exchange policy for fish.